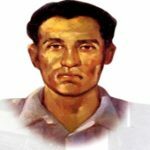 Mohiuddin Jahangir is a freedom fighter of Bangladesh Liberation War. 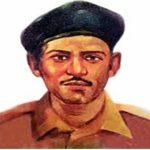 He was an army officer during the liberation war of Bangladesh and awarded highest recognition of war Bir Sreshtho for his bravery contribution in the battle field. Jahangir was associated with the Sector 7 of the Muktibahini. The fighter was killed on the bank of the Mahananda River in attempt to break through enemy defenses. The main gate of Dhaka Cantonment named ‘Shaheed Jahangir Gate’ after his name as an honor. Mohiuddin Jahangir was born on March 07, 1949 at Rahimganj, Babuganj, Barisal. He completed primary education from Patarchar Primary School. In his 5th grade and 8th grade, he got a scholarship in the talent pool. He completed SSC from Muladi Mahbudjan High School in 1964. From the Barisal BM College, he passed HSC in 1966. 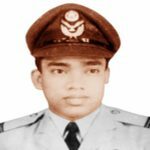 Then Mohiuddin admitted into Dhaka University in Statistics in 1967. On October 5, 1967, he joined the Pakistani Military Academy as a cadet. After completing training, he was commissioned in the Corps of Engineers and posted 173 Engineer’s Battalion in Multan. Mohiuddin Jahangir was involved with the construction of Pakistan-China Highway during the liberation war of Bangladesh in 1971. 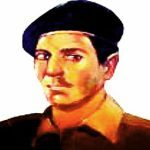 He ran out from Pakistan to the country for the independence crossing the inaccessible area of Pakistan along with a pistol. Hearing the news that four Bengali military officers have fled from Pakistan, there was great enthusiasm to the liberation forces and refugees. Then Jahangir joined as a commander in the sector 7. 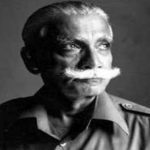 In the mid of December 1971, he intended to control Chapai Nawabganj from the Pakistanis. Jahangir attempt to destroy the enemy’s bunkers threw a grenade, unfortunately, was shot dead from another bunker. 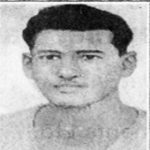 In Rehaichar Moholla in Chapainawabganj town, he died at the battlefield on December 14, 1971. The Bir Sreshtho Mohiuddin Jahangir was buried in Choto Shona Mosque premises at Mehdipur. The gate of Dhaka Cantonment is named as ‘Jahangir Gate’ after his name. 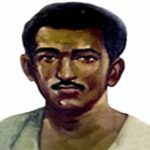 His own Union in Barisal also named him ‘The Mohiuddin Jahangir Union’. 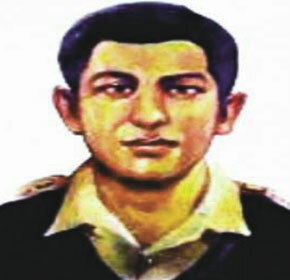 Birshreshtha Shaheed Captain Mohiuddin Jahangir College at Swarupnagar was also named him.